Open your body and mind to new perspectives with our transformative yoga retreats which will change the way you approach health and well-being. Focusing on the connection between your inner-self and outer-body, yoga can often help to provide a mindful perspective in your daily life. Encouraging users to take a step back and concentrate on this connection through breathing and asanas, this healthy discipline offers a transformative holistic escape away from stress and worry. Suitable for all levels, yoga can transform you both physically and mentally, with benefits ranging from strengthening cardiovascular health, to decreasing the risk of depression. Experience sunset beach yoga overlooking the Moroccan coastline, or a guided mediation session on the beautiful Thai island of Koh Samui. Transform your body and your mind through daily yoga classes designed to encourage personal reflection, and return home more connected to yourself and your happiness. Embrace the tranquillity of inner calm as you enjoy unlimited yoga and mediation sessions surrounded by the lush vegetation of Thai island, Koh Samui. With up to 25 classes a week, ranging from Hot Flow to Pranayama, balance your transformative yoga and meditation retreat by taking part in additional complimentary fitness classes, from aqua power to Thai boxing. 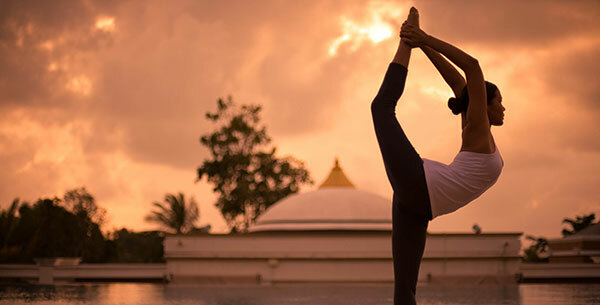 Continue to stretch your muscles and indulge your senses with the daily choice of a Thai stretch or aromatherapy massage, and boost your wellness with an expertly designed healthy menu from ‘The Love Kitchen’, to return home from your transformative yoga retreat refreshed and renewed. Enhance your personal yoga practise or learn your very first asana on a transformative yoga holiday at this idyllic Moroccan retreat, situated on a secluded beach. Enjoy three scheduled yoga classes each day in the stunning beachfront pavilion and bask in the sunlight of a beach yoga holiday as you experience the transformative changes yoga can offer. Benefit from the release of stress during daily pampering sessions, from a candlelight massage to relaxing in the traditional Morrocan hammam. Take in the coastline by kayak or stand-up paddleboard, boost your fitness with a CrossFit session and enjoy the freshest cuisine Morocco has to offer. 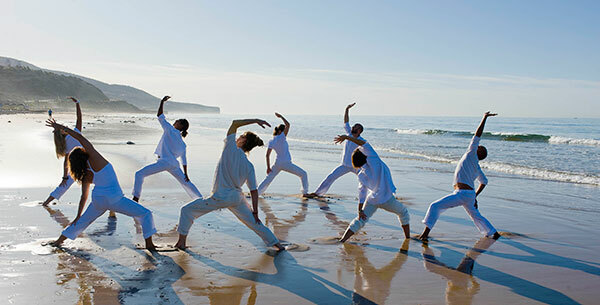 Open your mind and revive your body on this transformative yoga holiday set amidst the white sands and blue waters of Ibiza. Private and group yoga sessions will focus your mind and provide you with the knowledge to build the practise into your daily life. Combining the benefits of a cleansing yoga and detox retreat, clear your system of toxins with raw fruit and vegetable detox diet options, together with slimming spa treatments and chakra cleansing. When you aren’t practicing your yoga pose, take part in a range of other activities, from scenic walks to aqua spinning. Transform your approach to life as you de-stress in the tropical warmth and tranquil oasis of Costa Rica. 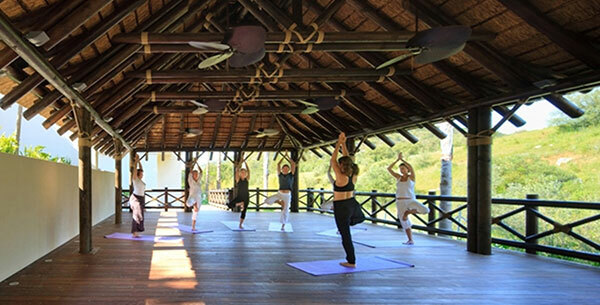 The open-air dojo at this beachfront wellness retreat offers breath-taking views of the Nicoya Peninsula and expert instruction from internationally trained instructors, making this a must visit for any dedicated yogi. Also offering private Pilates sessions, tone your muscles and centre your mind on a transformative yoga and Pilates holiday that offers the best of both worlds. Feel closer to nature whilst snorkelling in the crystal waters, or revive with a coconut scrub in the luxurious Spa Bambu, for a transformative yoga holiday that offers total relaxation. Experience the myriad of health benefits provided by twice daily yoga classes whilst surrounded by the scent of Andalusian orange groves at this transformative yoga retreat in Spain. Improve your flexibility, mental health and fitness as you transform your body with this gentle discipline that can be enjoyed by any skill level. Practice your breathing both indoors and outdoors on a yoga and walking holiday as you explore your stunning surroundings with guided walks of the countryside hiking trails. Rehydrate after an active afternoon with unlimited herbal infusions, packed full of vitamins to regenerate your well-being. Talk to one of our Travel Specialists on 0203 397 8891 or contact us here to discuss tailor-making your transformative yoga holiday.